TOPICS: Vote for Next Year’s Theme | Our Board of Directors Need YOU! Back in August, we asked you for ideas for Lakes’ 2019 theme. We received hundreds of suggestions, many of them wildly imaginative! After poring over the theme suggestions, the Lakes Leads narrowed down the list to five, as we do each year. Now it’s time for the most important part of the process – your vote! Your voice is essential. We’d love to see a hearty, positive debate as people decide what to vote for, so please share this with your attending friends, and let us all know why your selection is most appropriate for 2019. We want to see what ideas you brainstorm for how to turn your favorite theme into reality! Our Board of Directors Need YOU! Great Lakes Experimental Arts, Inc. is seeking highly-dedicated volunteers to join its Board of Directors in 2019. Great Lakes Experimental Arts, Inc.
Board members are the legal face of Lakes of Fire and are directly responsible for the long term production and sustainability of the event. 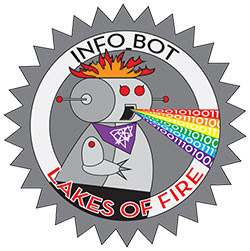 Candidates would have some experience volunteering with Lakes of Fire as a Team Lead, or a Shift Lead in previous years, however, there are no prerequisites for joining our Board of Directors, other than a deep commitment to seeing Lakes of Fire continue to thrive. If you feel you have the experience and desire to serve the organization, event and attendees through this vital role, consider filling out the Interest form before November 30th to be considered for the open Board positions.